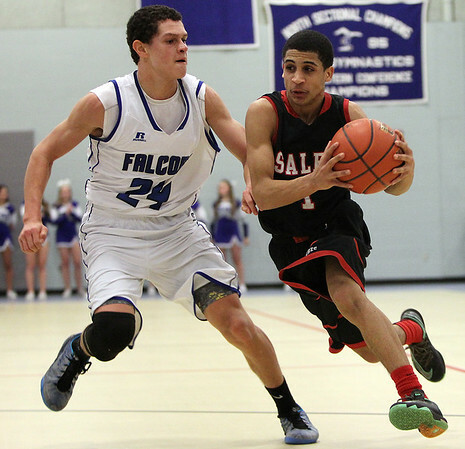 Salem guard Alex Sanchez (1) drives past Danvers guard Devonn Allen (24) and to the hoop during the second half of play on Friday evening. DAVID LE/Staff photo. 1/16/15.